The holidays are my favorite time of year and I love bringing friends together and entertaining. 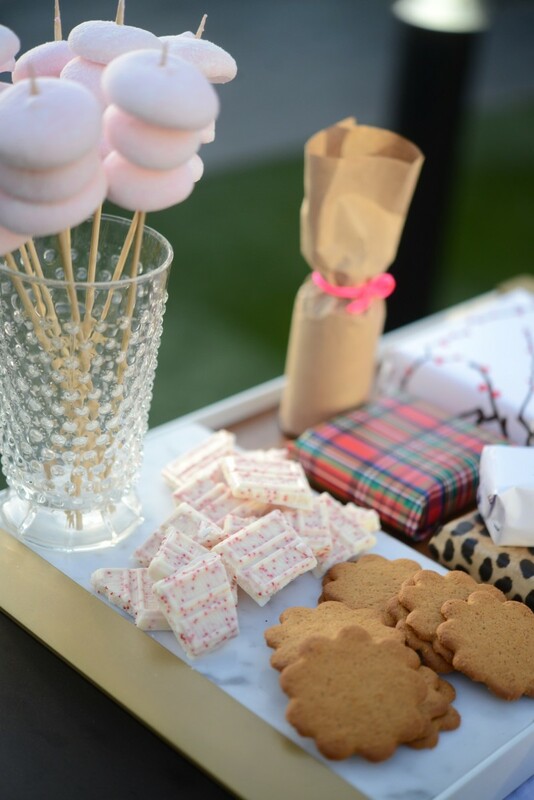 Since cookie exchanges and gingerbread house decorating parties prevail come December, I thought it would be memorable to host a different kind of girl&apos;s gathering: a cozy outdoor evening with campfire vibes, seasonal s&apos;mores, comfort food, and of course, gifts. We&apos;re lucky in that Los Angeles weather permits al fresco events year round, but even without the ability to throw an event outdoors, you can create a similar feeling in your living room with these elements. 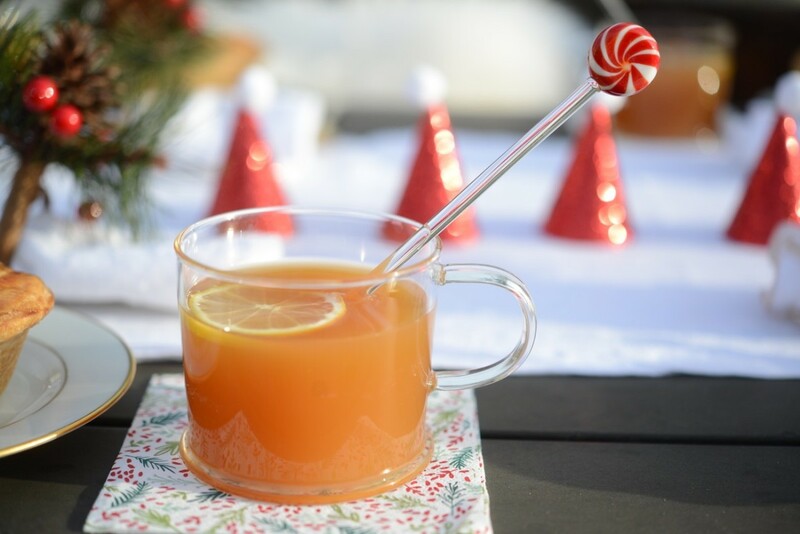 Hot Toddy with a festive swizzle stick. 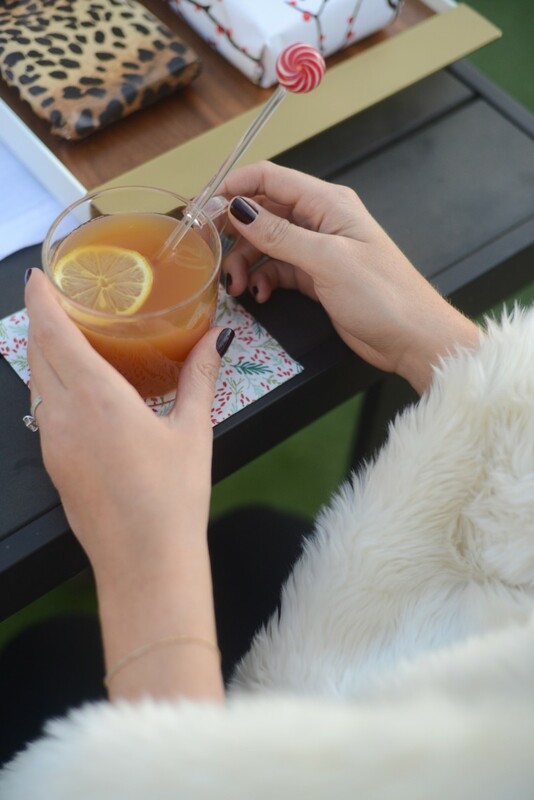 Hot Toddies are the quintessential cold-weather drink, and a crowd favorite (let&apos;s just say they go down easy when there&apos;s a chill in the air). They&apos;re meant to be seen, so serve in clear mugs with freshly-cut lemon slices and a festive drink stirrer. We pay for it come January, but the holidays are all about indulgence. Nobody wants to be snacking on crudités at a party this time of year, so opt for personal-sized servings of comfort food. 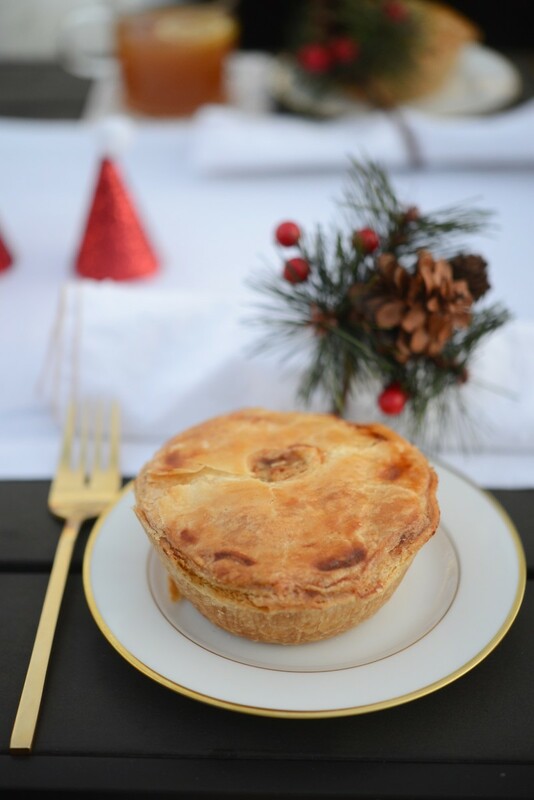 We chose individual pot pies, but mini mac n&apos; cheese bowls or multi-topping pizzas would work just as well. It&apos;s meant to be a really fun party that doesn&apos;t intimidate you too much or require elaborate prep work, so single-serve bites are the move. JBL Pulse 2 Speaker that sounds great and also lights up to create a pretty ambiance. The right holiday music is key to a celebratory evening. "O Holy Night" is my favorite song of the season but would make for a pretty awkward moment if it came on while people are mingling in a social setting (it&apos;s an epic, slow ballad). 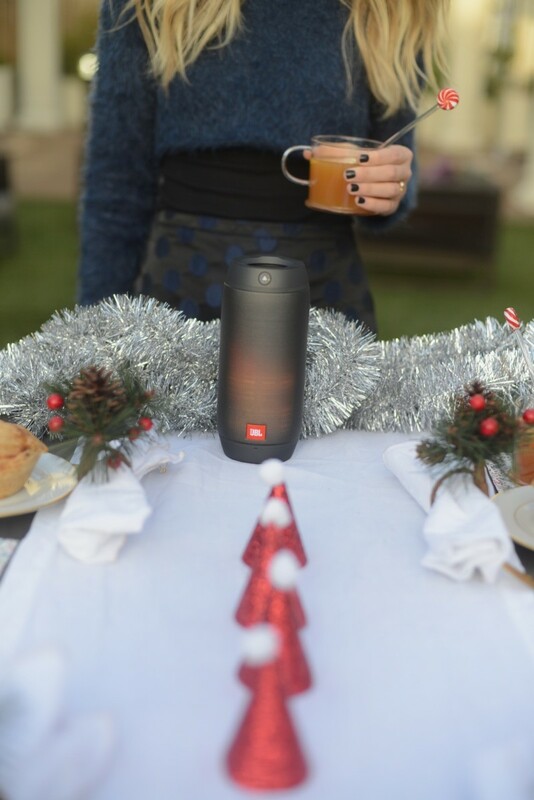 G and I take our taste in Christmas music very seriously, and have spent hours curating the perfect mix of lively tunes - both classics and contemporary covers - which we stream through our JBL Pulse 2 speaker. Having a fire pit around which to gather provides automatic ambiance, but you can create a similar moment with candles. 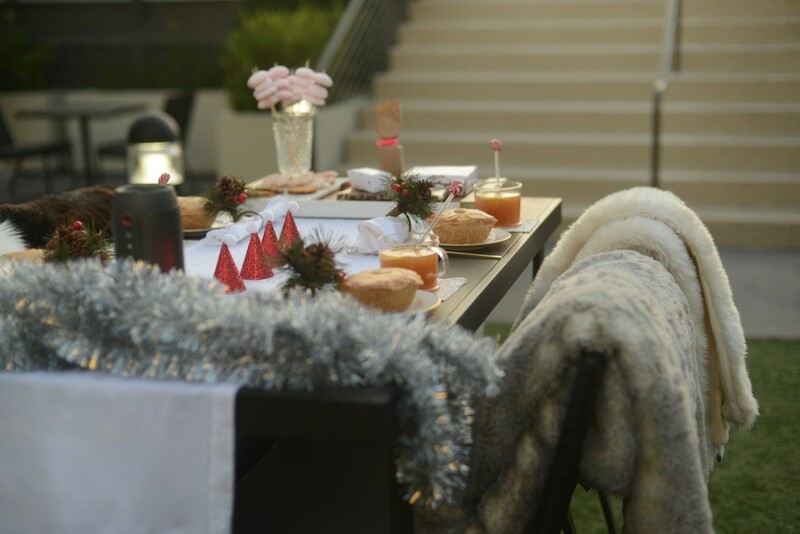 Lastly, if you are outside, have blankets on hand for guests to cozy up under with their food and drink. Faux fur blankets for when the sun sets. 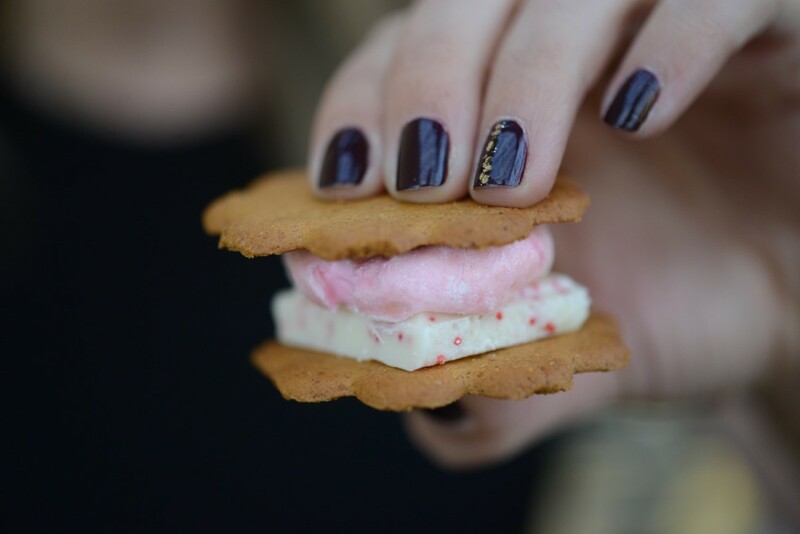 I love the idea of taking a summer staple and winterizing it, so I came up with a winter s&apos;more involving peppermint-flecked marshmallows, gingerbread cookies instead of graham crackers, and white chocolate peppermint instead of regular chocolate. 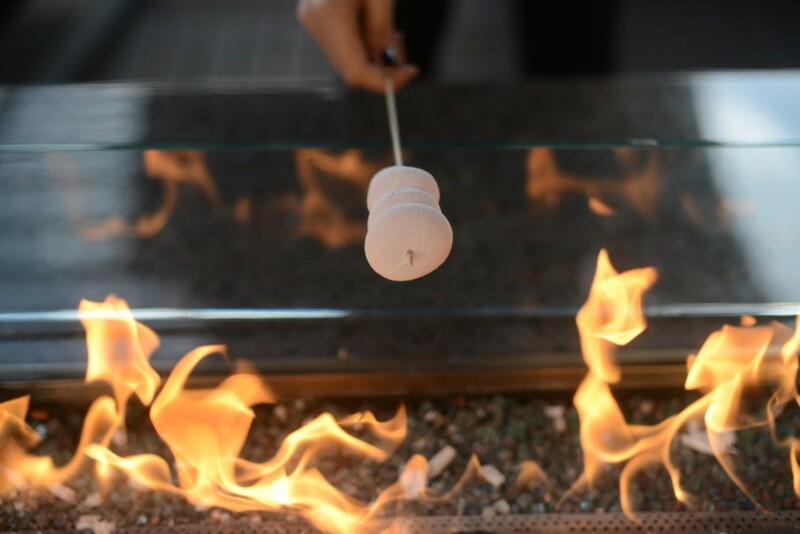 Skewer marshmallows ahead of time and place them in a glass hurricane so guests can grab and roast at their leisure. I get that the point and "fun" behind white elephants is the junky, funny, gag gift...but usually you end up with something to laugh at momentarily and then throw in the trash. 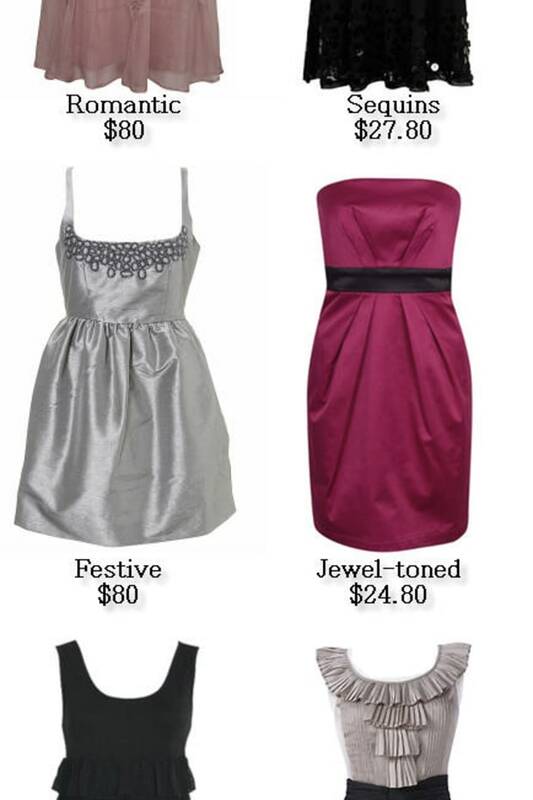 Instead, host a gift exchange where every girl brings her favorite beauty product under $30. It&apos;s so much fun to discover new beauty products that people you trust actually love and use, whether it&apos;s a friend&apos;s favorite mascara, top coat, or brow gel. 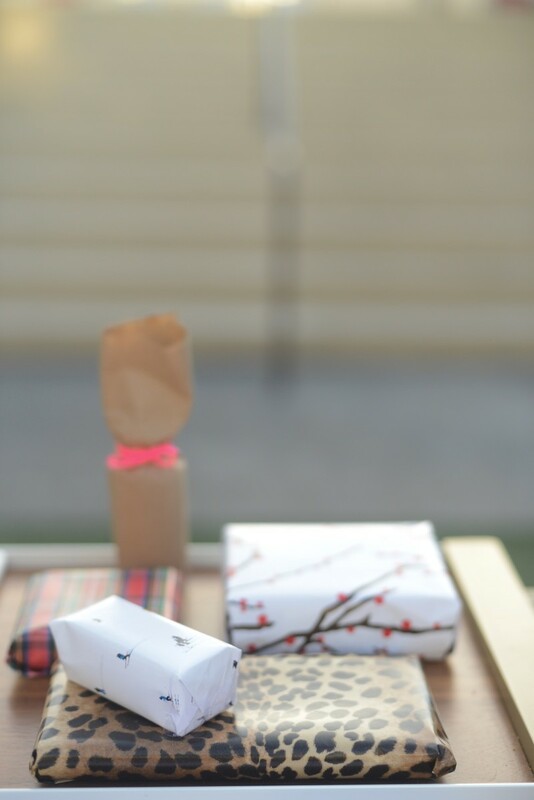 When each person opens their gift, the person who brought it has to explain why she loves it, and everyone goes home with something they&apos;re excited to use! Brought to you by JBL.